I was born in Myanmar (sometimes known as Burma), Southeast Asia, nearly 40 years ago. I grew up in Mandalay, the ancient capital city. My father, who has now passed away, was a Christian pastor and my mother is a minister, too. During our lives, we have encountered many difficulties and dangers for our Christian faith. My father was in prison twice for three months each, simply for sharing the Gospel. Every week, we were served a warrant and forced to appear at the courts. I’ve grown up with fear. However, I love Jesus and even in my childhood, I worried for lost souls. I was baptized at the age of 19 and since then, I have served in music ministry and with Campus Crusade for Christ. I have also served as a radio announcer and sometime as a preacher for Word of Hope Radio Program (Lutheran Hour Ministries). I first read and learned Luther’s Small Catechism from Rev. Ted Na Thalang (LHF’s coordinator for projects in Southeast Asia). I’ve studied Lutheran Doctrine more and more from pastors and professors at the Luther Institute of Southeast Asia (Bangkok), again with the help of Rev. Na Thalang. I am a Lutheran because I simply believe the Word of God. On October 7, 2007, I was confirmed in my Lutheran faith. Even though he was not a Lutheran, my father respected my beliefs. But most people looked down on me when I became a Lutheran. Here in Myanmar, Buddhist leaders instigate Christian persecution in predominantly Buddhist communities. The radical Buddhist movement believes itself to be the protector of Buddhism, the country’s national religion. Local government officials, especially those in rural areas, are biased toward Buddhist leaders. This means that Christians, who often happen to be both religious and ethnic minorities, are often discriminated against. Christians who come from Buddhist, Muslim and tribal families experience this persecution even within their own homes, because their family and their community see their conversion as betrayal. In most places, even well-established historical churches experience attacks. More than 100,000 Christians live in IDP (internally displaced) camps, deprived of access to food and healthcare. In some instances, Buddhist monks have invaded church properties and built Buddhist shrines on church premises. The Buddhist, Muslim or tribal families of converts persecute believers, who are often ostracized from society. Communities who aim to stay “Buddhist only” make life for Christian families impossible by not allowing them to use community water resources. We are not free to share Gospel. It’s prohibited to do it. In some places, people throw stones while we share Gospel. We are very careful when preaching the Gospel and doing mission work. Despite these things, my vision for my life and country is very clear and simple; to fulfill Christ’s Great Commission. These are some of the ways we are trying to accomplish this. We can’t easily reach out to Buddhist people. So we use music as a medium to reach Gospel to people. We go to villages and share Gospel by musical concerts. We are always very careful not to conflict with other religions here while we are doing mission, but sometimes people throw stones while we are doing small musical concerts in villages. We show the Jesus Film and some Gospel cartoon movies afterward. Last year, a group of people from a nearby Buddhist monastery came and destroyed the projector and we were injured, but we were safe because some of the Buddhist crowd protected us. 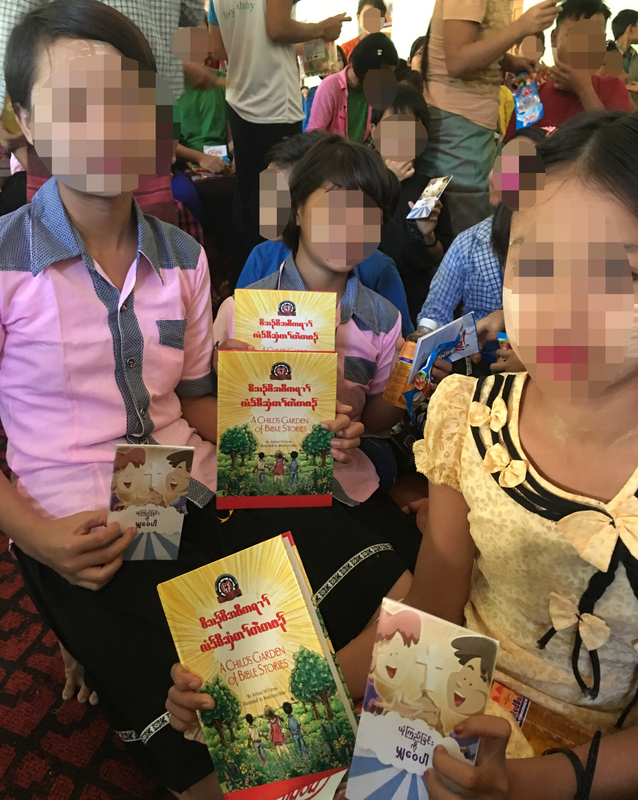 We always bring LHF’s Burmese Small Catechism and some Gospel tracts, and we share with people who are interested. We can’t travel to all places in Myanmar, but the books can reach anyplace and preach Gospel to people anywhere! Before the Lutheran Heritage Foundation came, we didn’t have any good Lutheran books here. But LHF has given us many good books to share the Gospel and for discipleship in planting congregations. Here in Myanmar, children under the age of 18 constitute approximately 40 percent of the population. Children are at high risk as destitute parents take them out of school to beg or to work in factories and teashops. Only about a third of our children graduate from primary school; many are exposed to drugs, petty crime, arrest, sexual abuse and exploitation and HIV/AIDS. Sometimes street children who can’t produce ID are recruited into the Burmese army. Our outreach teams believe that education is the most powerful weapon which we can use to change our country. We give free education to children: the Gospel through English learning classes for children. Our Mission Center is not legally allowed by the government, so we are very careful about doing mission work. We teach the students English, math and other school subjects after their government school time. By word-of-mouth, a few children come and study English and Luther’s Small Catechism with us. We have a vision to build churches around Myanmar by these children in the future. Though the children are very poor, they are really intelligent. They have great dreams for their futures. We believe that they will be doctors, teachers, lawyers, and pastors who will make a major impact on Myanmar society. All of this to fulfill His Great Commission. In 2018-2019, we will share Gospel to 20,000 people in Myanmar. We will try to make a congregation again with care this year even though we have been warned by the government. Please keep me and the people of Myanmar in your prayers. 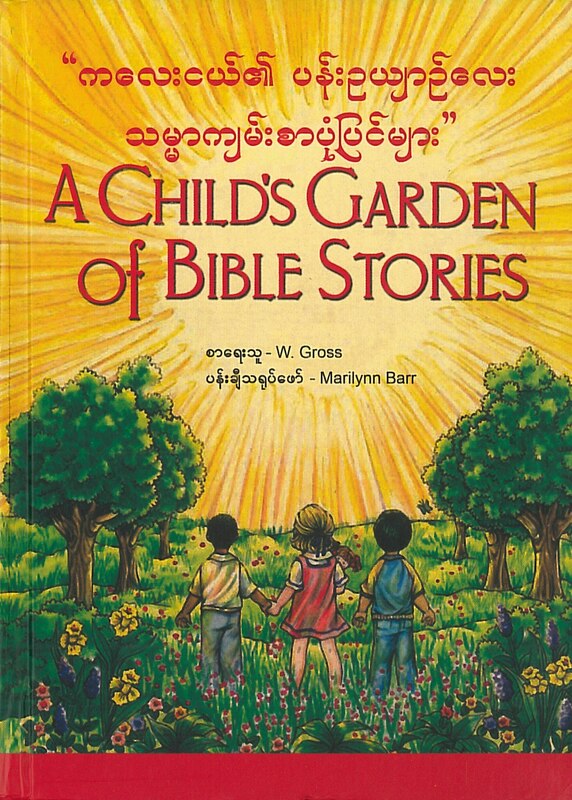 LHF’s 2018 publication plans include reprinting the Burmese Small Catechism, workbooks and A Child’s Garden of Bible Stories for Myanmar. Click the button below to give to these projects– every $5 offering you send prints a catechism! Only with your help can this important work continue. Prayerfully consider how you can help support LHF projects. *Not his real name. For his personal safety, Thuza’s real identity must be concealed.